When you study law at Griffith, you’re studying among the world’s best. Griffith is the highest ranked Australian university for law in the 2018 Academic Rankings of World Universities. You’ll join a law school dedicated to social justice and learn from award-winning teachers and researchers, who practise what they teach. Like Professor Penelope Mathew, who addressed the United Nations on the topic of refugees and Kate van Doore, who has helped changed international laws associated with child trafficking. At Griffith Law School, we're preparing the legal experts of tomorrow to tackle the unique challenges of the future. It's a big job but we're dedicated to helping our students make their mark. We believe in the law as a powerful instrument of change and give you the progressive practical experience, support, international opportunities, networks and theory to shape your ideal legal career — whether that's in traditional law or beyond. You’ll be ready to join the ranks of successful Griffith Law School graduates creating change for good. Find out more about your online study options and chat one-on-one. Griffith Law School staff and graduates discuss the opportunities with Griffith Law School. This video features: Director and Principal Lawyer of Cook Legal, Kara Cook; Barrister-at-Law, Joshua Creamer; Co-Deputy Leader of the Australian Greens and Queensland Senator, Larissa Waters; former Head of Griffith Law School, Pene Mathew; and President of Griffith University Law Society, Rhys Kasper. Abiding by laws, regulations and rules is central to a lawyer's way of thinking. But at Griffith, we understand the power of law and know that sometimes you need to challenge the rules, to break them apart and put them back together. We ensure our students don't only understand the law, but have the knowledge and skills to challenge it. Griffith Law School emphasises skills and real-life experience from the first year, so you'll graduate with the in-depth knowledge of legal principles, plus the practical skills for a rewarding legal career. You'll gain extensive hands-on experience through local, national and international moots, court visits, industry networking, and legal clinics, working on real cases and policy issues. The Griffith Legal Clinic Program offers one of the broadest ranges of clinical placement options for an Australian law school. At Griffith Law School you'll have the opportunity to build your networks with a cross-section of the legal community at regular events. Throughout your degree, our industry liaison and graduate placement officer will help you identify your career goals and provide you with access to the resources essential to graduate success. You’ll also have access to Griffith Law School graduates, who are leaders in a variety of sectors and working across the globe. Many of our graduates are employed in top tier law firms and we have award-winning alumni changing people's lives. We know that studying law can be a challenge and choosing where to study is a big decision. You can feel confident that Griffith is officially rated higher than other Brisbane universities by law students in overall educational experience. Whether you’re balancing work, family or just life in general, we understand that study isn’t your only commitment. That’s why Griffith Law School’s postgraduate financial planning degrees have been developed to be flexible, so you can fit your passion for learning into your busy schedule. Study full-time or part-time, online, on-campus or a combination of both. Plus, as life gets busy, you’ll have the flexibility to accelerate or slow down your study to make your university life easier and more enjoyable. At Griffith Law School, you can choose to fast-track your study by completing our accelerated online degrees the Graduate Certificate in International Law Practice or the Master of International Law. Ideal for busy people, each course is 100% online and takes six weeks to complete, so you can focus on one subject at a time and still graduate in up to two years. With six intakes every year, you can start almost straight away and gain your qualification sooner. 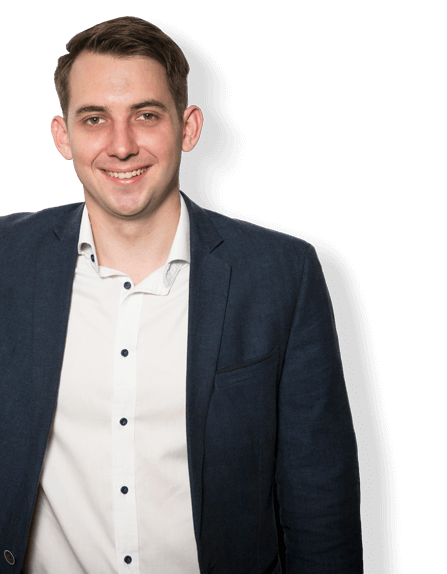 Griffith graduate Chris Eigeland is a serial entrepreneur, international lawyer and Australia's Youth Representative to the United Nations for 2016. He has founded three international enterprises, each addressing a unique social challenge. Recognised as a 'Global Shaper' by the World Economic Forum, Chris is an ambassador for the international leadership network 'One Young World', and is a contributor at forums such as the G20 on innovation and global challenges. In 2014, Chris was named Australian Young Innovator of the Year, and has previously been acknowledged as a Prime Minister's Australia-Asia Scholar. He has also served as a Director of 'Global Voices', a not-for-profit providing pathways for young Australians to contribute to international diplomacy. Through his experiences, Chris has discovered that the most inspiring entrepreneurs aren't changing the world from Sydney or Silicon Valley, but are on the ground in remote and regional areas - identifying new problems, trying new ideas, and finding solutions. An increasing number of graduates use their degree to gain entry into careers in sectors as diverse as politics, international finance, sports, diplomacy, health, the media and environmental protection.